With Management Reporter riding into the Sunset, what is next? As many Management Reporter (MR) customers and partners have now heard, there were two announcements from Microsoft in the past few weeks about the future of Management Reporter: one was at the Amplify conference in Anaheim, California on Sunday, May 22 last month, and the other was in writing and can be found here. This blog is a follow up to the first one, written after the Amplify conference, but now with more information available from Microsoft. For people that like to analyze and read between the lines in vendor announcements, you can read into what is meant with “no major enhancements (of MR for GP)”. For anyone that has been in the software industry for a while, it typically means one thing: MR is going on life support, but there will be bug fixes and maybe some small improvements as well as the typical 10 years of support that Microsoft often offers on major products that are being sunset. What about MR for Dynamics GP (whose team the recent MR announcement came from) vs Dynamics SL and Dynamics AX? The recent MR announcement came from the GP team, so the slowdown of MR development there is confirmed. Now, MR supposedly has the same engine, albeit different integrations, regardless of it being AX, GP or SL, so it would be quite strange if there would be full development of deep MR functionality (not talking User Interface here) for AX, but not for GP. However, that is just speculation and for sure there will be someone taking care of MR, at least for AX 7/cloud and maybe later AX updates. So, let’s leave that door open as AX in the cloud is a very high priority for Microsoft. And, it is a known fact that SL has a smaller customer base than GP and thus, less resources behind it, so although there has not been any MR announcements from the SL team, it would be very strange if MR’s destiny is not the same there as it is for GP customers using MR.
What about Dynamics NAV? Microsoft tried to use MR on NAV for a while, but it was discontinued a while back because MR really did not work well on NAV’s multi-dimensional database, and NAV customers moved on and today, use the native NAV report writer or ISVs, like Jet Reports and BI360. However, Dynamics customers have many choices, probably more than most ERP systems on the market, and reporting and CPM vendors are as usual standing ready to help the customers to greener pastures when they decide the time is right to move off MR.
With that said, while existing customers that are completely happy with MR can easily stay the course with MR for a while, new customers should then decide if it is worth the risk to invest time and money in MR report writing or if they should implement a closely integrated ISV product that does the same as MR and maybe more, like reporting on both GL and sub-ledger data. There are several of these products, including BI360, BizNet, Jet Reports, Prophix and ZAP. Some of them using Excel and some using browser interfaces or both. As with any type of ISV product in the ERP space, the goal of an ISV is to stay relevant and grow by always staying ahead of the ERP vendor’s own functionality, which is often free and embedded, like you will see with MR for AX on Azure. So, let’s assume that MR has reached its retirement age for all or most of the Dynamics ERPs and is now moving into the retirement home to enjoy the rest of its life there, with “minor releases.” What is next from Microsoft? Are they going to ignore the need for financial reporting? Are they going to look beyond MR’s limitation to only report on GL data? What about budgeting features or embedded visualizations? Microsoft can change their strategy on MR and rebuild it into a modern, non-proprietary, cloud friendly report writer and try to expand it into also reporting on sub-ledgers, so customers don’t need to use two or more report writers for their different ERP reporting requirements. Microsoft can keep MR on life support until they launch a brand new tool. Who knows, maybe they are in stealth mode and already working on something related to expansion of Power BI into a more full-fledged combined BI and CPM tool? Microsoft can acquire a CPM vendor. It would then be likely be a modern, cloud-based tool since Microsoft is extremely focused on the cloud in almost all regards these days. Microsoft can develop partnerships with financial reporting or full-fledged CPM vendors while they figure out the future, which again will likely be #2 or #3 above, or they may lean on their ISV channel for the longer term. Ultimately, Microsoft knows that they will need a good reporting and budgeting tool for AX Cloud, Madeira and NAV, as these three ERPs seems to be what they bet their long term cloud and on-premise presence on. 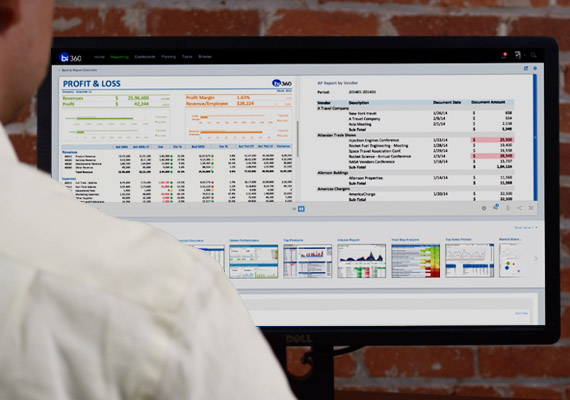 In the meantime, Microsoft Dynamics AX, NAV, GP and SL customers probably have the best ISV community of any their ERP competitors, so there are plenty of pre-integrated third party solutions ready to take Microsoft Dynamics’ financial reporting to the next level. What that next level is can be food for thought in a future blog.